Tucked away on the south side of Hong Kong Island, Stanley Village is a favorite weekend destination for visitors and locals alike. 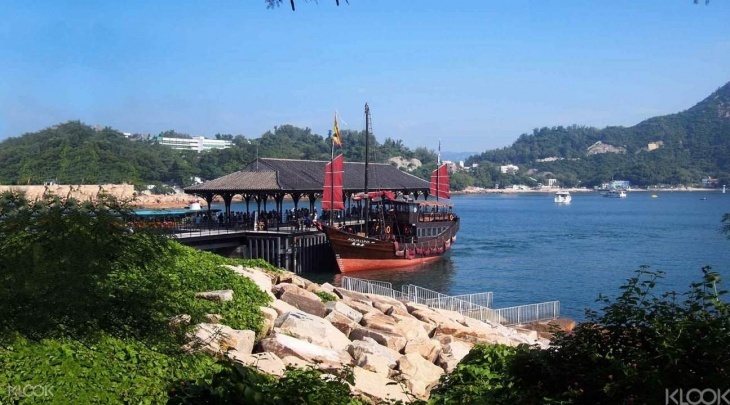 Hop aboard a traditional red-sail Chinese junk boat on your way to Stanley. On one side of the boat, sight Hong Kong Island's soaring peaks and rugged coastlines; on the other side, glimpse captivating vistas of some 235 islands. It's a ride just as scenic as the destination, with Stanley's colorful markets, bustling waterfronts and colonial structures awaiting your arrival! Try out the other AquaLuna activities: AquaLuna Harbor Day Tour, AquaLuna Evening Sail, AquaLuna Dim Sum Cruise and AquaLuna Symphony of Lights Cruise!